The spire of the 13th century Dom church in Utrecht city. The church was once St Martin's Cathedral, but is a protestant church since the reformation. 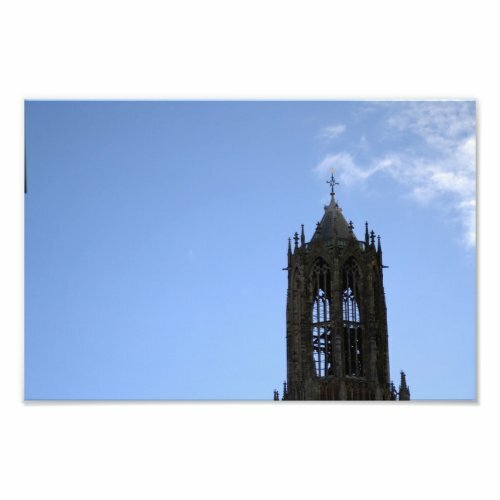 The church tower, the highest in the Netherlands, is not connected to the church. The nave of the church, unfinished for financial reasons, collapsed during a hurricane in 1674 and was never rebuilt.